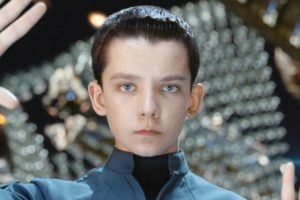 “Ender Andrew Wiggin from Orson Scott Card’s famous Ender’s Game, is a Christ-figure if I ever saw one.” Media from playbuzz.com. Ender Andrew Wiggin from Orson Scott Card’s famous Ender’s Game is a Christ-figure if I ever saw one. Contrary to the personalities of his over-abusive brother and fiercely compassionate sister, Ender is the perfect combination of both justice and love. As we see in scripture, the Lord is also both gracious and righteous. 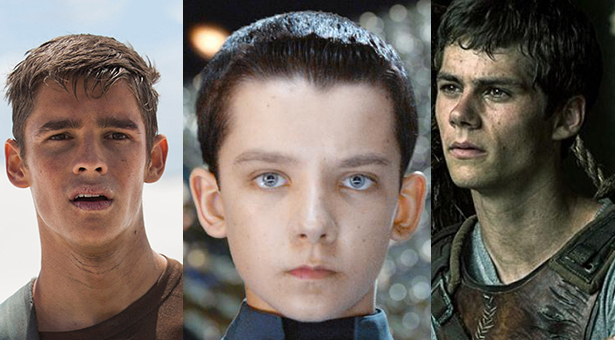 In this way then, the character Ender Wiggin is somewhat of a manifestation of the living Christ. Ender also exemplifies Christ-like qualities is the way in which he interacts with others. The young soldier demonstrates authority when called upon but ultimately remains submissive to a greater power. In a similar manner, Christ leads others in his time on earth; but he does so according to the will and instruction of the Heavenly Father. Last, but not least, is the way in which Ender sacrifices himself in order to understand others. During his time at military school, the young boy goes out of his way to love and empathize with those that are distinctly different than him. As a result, Ender is able to bring comfort and counsel to those in need. Jesus too went against societal norms to free those from their bonds of unworthiness. As we know from the Bible, he came for both gentile and jew. Thomas embodies Christ-likeness in the way that he was brought into the world and the choices he makes as a result of his mysterious origin. Media from carboncostume.com. 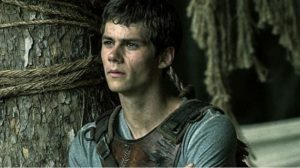 Thomas, the main protagonist of Jame’s Dashner’s best-selling The Maze Runner, is likewise caring and empathetic toward those who have no home. The brilliant young boy is sent to a world he knows nothing of, and during his time in The Glade, he soon finds he too must become a leader to a foreign land. The experience is somewhat similar to that of both Jesus and Ender in that the prejudice Thomas encounters is largely due to his unknown origin and even more mysterious motives. Wherever the boy appears, strange events surround him, and the same can be said of Jesus who performed countless miracles in his day and age. Profound acts aside, neither Christ nor this Christ figure allowed the actions of others to stand in their way. Sacrificial love plays a big part in the lives of both individuals, and each were willing to put themselves in a great deal of danger for those who do not even accept them as their own. Jonas carrying the weight of his community’s memories. Media from thedailybeast.com. 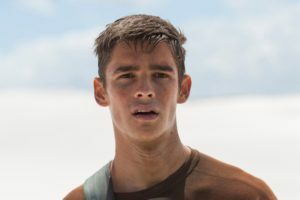 Last but not least, there is the compassionate boy of eleven in Lois Lowry’s The Giver. Jonas literally brings color to a world that is black and white, just as Jesus came to be the a beacon of hope to those in such a dark, dark world (John 8:12). Additionally, the boy is burdened by the weight of the memories his community has abandoned in its past life. What better to compare this to than the load of sinfulness humanity left behind for Jesus to carry to the cross? Both characters stand up for what is right and both individuals hold true to those convictions even if it means being an outcast in familiar territory. Jonas and Jesus do what they can to convince others to stray from their sinful nature, and by doing so, both figures are able to redeem the select few willing to take on such an adventurous life. As clearly evident from the character reviews above, there are many of examples of Christ-like qualities displayed in everyday fiction. Whether you are a big reader or not, I encourage each of you to consider the attributes many heroes embody and what that can tell you about the living Christ. For more opinions on Christ-figures in fiction, check out what Greenville students had to say in the video below!